Flawless colonial in the gorgeous Original Northwood neighborhood! This urban oasis was custom built in 2015 w/ ~3k finished sqft, 9ft ceilings, & Hardi & stone exterior. Hardwood floors, custom ceramic baths, custom window treatments, granite, frameless shower door in master. New 15x22 Trex composite deck. Private 2-car parking pad in rear. Subject to Baltimore City's new construction tax credit! PUBLIC ONSITE AUCTION: Wed, May 22, 2019 @ 11:55am. List Price is Suggested Opening Bid. 2 Story Townhome in Carrollton Ridge. Property is Vacant. 10% Buyer's Premium or $1,000 whichever is greater. Deposit $2,000. For full Terms and Conditions contact auctioneer~s office. SOLD STRICTLY AS-IS. Great Opportunity to Own This End Unit. Laminate Wood Flooring, Finished Basement and Spacious Backyard. Great investment opportunity for this old Victorian style home near Waverly. Property needs total renovation, but has great potential. Spacious living area, 5 bedrooms, large back yard. Info on listing is believed to be accurate but should be verified by buyer. Sold strictly as-is. Secured above ground covered and lit parking. Harbor Way entrance near the corner of Sharp Barre and Conway streets. 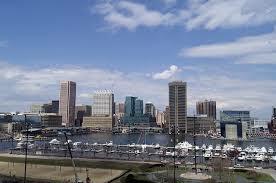 just a block from Camden Yards and a block from the Inner Harbor. YOUR HOME AWAITS!!!!! Come Home to this beutiful refinished gem in a desirable community. The home has load of attributes, feauturing 3 bed 2 bath, large rear yard, finished basement, central air and stainless steel appliances. Open floor plan flows inward a custom kitchen fit for a chef. Hardwood floods are finished to perfection on two levels. Backyard is fenced and has a patio and there is a separate entrance to the basement. ABSOLUTE REAL ESTATE AUCTION ON SITE TUESDAY, MAY 28, 2019 AT 11:00 AM TO THE HIGHEST BIDDER OVER $5,000. List price is opening bid only. $2,500 cashier's check deposit required to bid. Please contact listing broker's office for full terms, bidder pre-registration form and property details. ABSOLUTE REAL ESTATE AUCTION ON SITE TUESDAY, MAY 28, 2019 AT 11:30 AM TO THE HIGHEST BIDDER OVER $5,000. List price is opening bid only. $2,500 cashier's check deposit required to bid. Please contact listing broker's office for full terms, bidder pre-registration form and property details.